Just CLiQQ on your item, keep your barcode ticket, and pick up at your 7-ELEVEN branch of choice the next day. No minimum purchase. Pay in cash upon pickup. 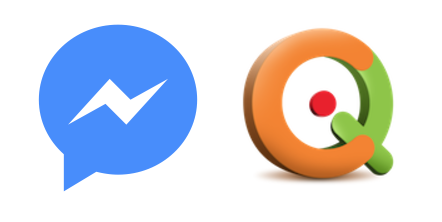 Earn points and redeem rewards from CLiQQ right inside Facebook Messenger. Just search for CLiQQ within Messenger and tap the Get Started button. 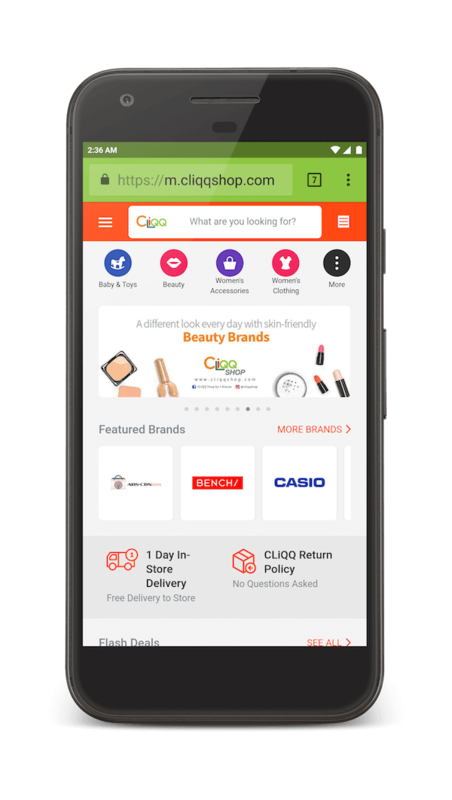 Get a CLiQQ Rewards barcode in Messenger that you can show at 7-Eleven everytime you purchase anything at the store to earn points or e-stamps. View the latest reward catalog and redeem right inside Messenger. View the latest promotions and reward catalog. Follow us on social media to get new updates and download our mobile app for the easiest way to redeem your points. CLiQQ Rewards is 7-Eleven's loyalty program (formerly Every Day! Rewards). Earn points by presenting your loyalty barcode every time you buy at 7-Eleven. Get your loyalty barcode for free by downloading our mobile app. You may also purchase a card for P10 and link it to your mobile app. We recommend using the mobile app so you always have your barcode with you. CLiQQ WiFi allows you to access the internet using your points. All 7-Eleven stores are CLiQQ WiFi zones. CLiQQ Kiosks in 7-Eleven stores allow you to buy load, e-pins, pay bills and add cash to your e-money.